I abandoned my Apple Watch for a TomTom a couple weeks ago, and frankly I’ve been blown away by how much better it is for running. Now I’m wondering why I put up with an inferior running watch for so long. I really wanted to like my Apple Watch. As an Apple fan, a fitness fanatic and an app developer, it seemed to have so much potential. So I discarded my Nike+ Running Watch GPS in favor of Apple’s latest shiny gadget. There was a sense of inevitability about Apple Watch. 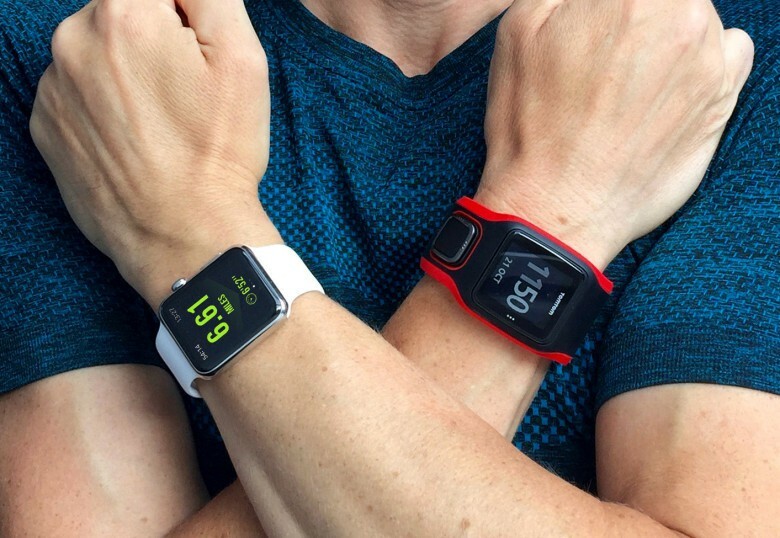 Even Nike had scrapped its wearables in favor of developing Apple Watch apps. So, while I knew the lack of built-in GPS would be a major drawback, I went ahead and bought one anyway. Every running watch I had previously owned was simple and reliable. But Apple Watch is not just a running watch. It is more complicated, with more things that can go wrong. I quickly had to become an expert in tinkering with the Watch to get third-party running apps to work. Uninstalling and reinstalling them. Restarting the Watch and the iPhone. Repeatedly attempting to start a workout. Never viewing a run on my phone while it was active on my Watch. And giving up on the risky and foolish idea of ever using the “Pause Workout” button. There was a Heath Robinson-esque quality to running with Apple Watch. The first lag occurs when you raise your wrist – it takes some time for the watch to recognize this gesture and wake the display. But even then, the running data it displays has not updated. This is where the second lag occurs, as the app re-establishes its connection with your iPhone to update your distance and pace. The result is that you have to wait for several seconds every time you check your progress. 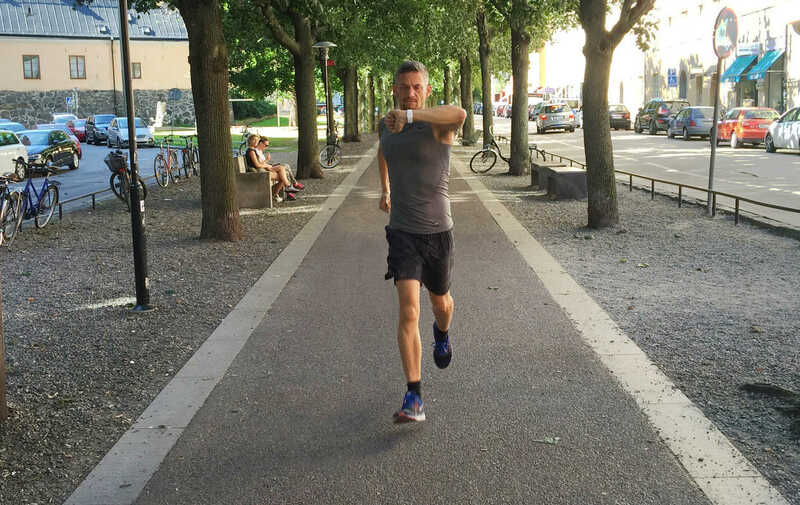 Raising your wrist and holding it still during this double-lag ruins your running form. It can even be dangerous, if you’re looking at your Apple Watch when you should be watching where you are going. Staring at an unresponsive Apple Watch app while running is an accident waiting to happen. I endured all these problems because I was holding out for watchOS 2, which promised native third-party apps. I assumed this would fix most of the problems, but it did not. Firstly, very few major developers have updated their running apps for watchOS 2. Runtastic Pro and Runkeeper (the latter updated just this week) are notable exceptions. But after trying these apps, I realized that even watchOS 2 was not going to solve my problems. Sure, there are now some native running apps, but if I wanted GPS, the dreaded double-lag would remain, because even native Watch apps still have to connect with their parent iPhone app in order to access it. This realization finally drove me to give up and buy a TomTom Runner Cardio watch instead. I felt a bit guilty about it — like I was cheating on my Apple Watch — but I’d had enough. My first run with the TomTom was a revelation. Whenever I raised my wrist, the latest running stats were immediately ready to view. Even the pause button worked without a glitch. And when I finished my run, it synced the GPS and heart rate data to Nike+ and Strava simultaneously. No tinkering. Just running. I was stunned. Why on earth had I put up with Apple Watch for so long? I’m certainly not giving up on Apple Watch altogether. I love using it when I’m not running, and I’m hooked on the Activity app. In fact, I am so obsessed with closing the Activity rings every day that I wear it as well as the TomTom when I’m running — to make sure I get the credit on my Move ring. Yes, I’ve become that guy. The geek who wears two watches. But only when I’m running. And hopefully not for long. Surely Apple will solve this by adding built-in GPS to the next-generation Apple Watch 2. But until then, I won’t be trusting Apple with my precious running logs.